Winter poses its own threats to chickens. 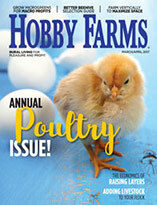 Use these tips to keep your flock protected and safe during the coldest months of the year. Chicken keepers have it easy. Our workload is relatively light. Especially in the seasons when gardeners and farmers have it toughest (spring and summer), we’re lucky. When shepherds are tending to their flocks by midwifing does and ewes in the wee hours of the morning, chicken keepers are sitting back and watching the eggs roll in. As milk demands to be collected from young cows with calves, requiring morning and evening milkings, the chicken keeper sleeps in, content knowing the flock is safe behind a locked coop door. However, one time of the year that our chickens need a bit more of a leg up is winter. Hot summers pose their challenges, too, to be sure, but winter requires hands-on maintenance by the flock keeper. The work you do in the winter will be compounded by harsh winds, snowdrifts and cold temperatures, after all. The best way to combat winter challenges? Anticipate them. This means preparing as much as possible in advance. So, fall should be a busy season: bedding down the coop, buying extra feed and having medical remedies on hand. Tackle repairs and replacements in the autumn, before things break down and need attention. And before it gets too cold. When fortifying your flock’s living space, start with the housing itself. Most people speak of the “spring cleaning” urge, but in the chicken coop, that may well be the “fall cleaning” rush. When the hens slow their laying and the molts begin, you feel the change in season and it’s time to give everything a good, deep clean. Scrub water fonts, feeders, miscellaneous dishes and snack baskets. Remove old bedding in the nest boxes, especially material that’s soiled from the season of use. 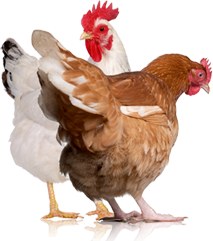 Scrub roosts and remove debris, especially if you heat the coop or part of the structure with an electric lamp. While everything is out in the open, check the coop for damage, holes, gaps or sections of the structure needing repair. As you look, keep your local predators in mind. What types of predatory animals could take advantage of each weak point in your coop? Are there gaps in fencing? Low, loose fencing or wire mesh? Holes in the coop 1 inch in diameter or larger? Mice, rats, and weasels, which are especially damaging and dangerous to stored feed and the chickens themselves, can squeeze through a hole about an inch wide. Address and repair anything that size or bigger right away. Loose or flimsy fencing welcomes just about any predator, including dogs, raccoons, bears and bobcats. Roofing is another major concern of coop security. Keeping the elements out of the roosting area and nesting boxes—the two most important parts of the coop’s interior—is the most important function of the roof. In summer, the roof keeps sun and rain out. In winter, it’s susceptible to damage from heavy snows and harsh winds. The fall is a good time to investigate the quality of your coop’s roofing and make those repairs you’ve been putting off. In just about any part of North America, a winter flock will be missing something from its diet during the colder months. Fewer plants grow and thrive, meaning less green for free-ranging flocks. 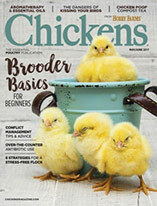 For most chicken keepers, providing supplemental food seems like a luxury, but let’s explore the benefits. a variety of growing things on pasture, if you let them. But even free-ranging winter chickens are at a loss. Any flock will benefit from some extra supplements in the winter—even if it’s just leftovers or peelings from your kitchen. Winter is the perfect time to start the habit of giving your birds kitchen scraps. It’s cold, I know, and the last thing you want to do after making dinner is go outside in the snow and ice. But your chickens will thank you—maybe not with a nice card but certainly with a few clucks and an occasionally much-anticipated weekly winter egg. All manner of greens, fresh fruit and vegetables, kitchen clippings and leftovers are fair game for chickens, as long as the mix doesn’t include avocados (the pits leach a chemical toxic to all birds), raw potatoes, or anything excessively oily or greasy (such as old takeout). Fresh food that’s a few days past prime is fine, but avoid offering anything rotten or moldy. That’s best left to the compost pile. And, if ever there were a time to spoil your birds rotten with treats, winter would be it. Scratch is a fabulous winter treat because it not only offers variety to an otherwise mundane diet, but it raises body temperatures as the bird digests it and keeps the chicken warm. Mealworms and sunflower seed treats are a great source of protein and a fun activity for chickens cooped up during winter snowstorms. as much as in the summer, if not more. The trick is keeping water available under freezing conditions. Keep an extra set of waterers, and switch them out daily for thawed water, or heat the water font so that water is always available. Both options have obvious drawbacks: Lugging water back and forth from a heated house is not much fun, certainly less so in the winter, while heating a water font poses a fire hazard. Those chicken keepers in the southern states might be able to get away with lugging frozen water fonts for the few days or weeks out of the year that require it. Those in the Northern and Midwestern states might find that they need to research the safest heating options. Ah, we have reached the most contentious point of winter maintenance: heating the chicken coop. Proponents of heating the coop prefer to keep their flocks comfortable and pampered. Some are concerned about extreme cold, frostbite and even death. While it’s true that some chicken breeds, such as the Silkie, absolutely require milder temperatures to not only thrive but to live, with thoughtful attention and care to your chicken-keeping journey, I don’t believe anyone should need to heat the coop. Artificially heating the coop—such as with a heat lamp—does several things. It brings the inside temperature to a higher degree than the outside temperature, putting chickens at risk for being unable to maintain their body temperature. Should you lose power to the coop on a very cold night, the plunging temperatures could be enough to seriously injure the flock or even result in death. Some might say that heating the coop will keep any indoor water fonts from freezing, but that’s a small consolation. The larger issue is that heating the coop poses an unnecessary fire hazard. Many a coop fire—and flock deaths—could have been avoided by a few simple precautions instead. Flock deaths from fires or power outages are more likely than those from cold, when birds have been properly acclimated and protected. First, try to only raise cold-hardy birds, naturally suited to your region. This ends the dream of owning Silkies or Naked Necks in Alaska, but if a thriving, low-maintenance flock is your goal, start with the right breeds. Rhode Island Reds, Ameraucanas, Plymouth Rocks, Australorps and Orpingtons are all wonderfully cold-hardy breeds with winning personalities and phenomenal egg-laying abilities that are loved by millions of flock keepers. Consider breed selection to be your first winterizing task. nutrition and a fortified coop, they’ll ease into winter with grace, and be strong enough to handle the cold with your help. It never hurts to have extras. Emergency preparedness experts advise to have at least two to three weeks worth of food, medical supplies and medicine on hand in case of emergencies. A wise chicken-keeper applies this to his or her flock in the winter, too. Even in my relatively mild winters in the Southeast, a surprise blizzard at just the right time could leave us without access to feed and other necessities. A good rule of thumb is to keep one month’s worth of feed on hand at all times. Extend that to medical supplies, such as first-aid-kit essentials for pets. During the fall, stock up on nutrients and supplements, such as grit, oyster shells and scratch, as well as feed. Store everything tightly and away from hungry winter scavengers, such as mice, rats and raccoons. Winter can be a wonderful season for chickens. The birds are relieved of the summer heat, and most of the laying hens take a hiatus from their egg-laying duties. They’re not bothered or stressed by moving locations to fair shows, loud mowing or weed-eating chores, or additions to the flock. Things are slow and quiet, and winter is a time of rest for all. If you spend adequate time and effort on preparation and maintenance early on, it can be a time of rest for you, too. Some critics call the deep-litter method of coop maintenance lazy; others find it ingenious. What if they’re both right? The deep-litter method maintains the coop’s bedding without wasting the resources of the raw materials – bedding and chicken manure. In the traditional method, bedding is laid in the coop’s floor several inches thick. As the flock lives among the bedding, roosting above it for weeks and months on end, the droppings decompose with the bedding material. The decomposition process produces heat, making the deep-litter method ideal for naturally warming winter coops and keeping temperatures inside the structure stable. Why is this method considered lazy? Well, for one, you don’t remove the bedding all year. Chicken droppings continue to pile up, and the chicken keeper mixes the bedding and adds more as needed. How much and when to add it is not an exact science; it depends on the size of your coop, the size of your flock, the type of bedding you use and your frequency of maintaining it. Generally speaking, most chicken keepers can get away with completely changing the litter one time per calendar year. When that happens is also up to you, but it’s typically best done in spring or fall. So why is the deep-litter method ingenious? Well, it takes advantage of the chicken’s naturally ™hot∫ manure, and turns the whole coop into a giant compost pile. That doesn’t sound so nice, does it? The fact is, with some attention, the coop should not smell or cause illness to you or the birds. Regular maintenance of bedding replacement and mixing is necessary to keep it clean, but the bedding and droppings are still doing what they do best: breaking down into something usable again. When fully decomposed and added with other substances, such as garden soil, the litter becomes fertilizing garden gold with minimal effort.